The right tool makes all the difference for restaurant owners and operators. For example, when a chef chooses the right knife for the task, they’re able to make a better cut. So too must smart decisions be made about the tools and services of restaurant operations. In order for your front-of-house to be as effective as your kitchen, look to these five technologies to bring your restaurant into the digital age, improve your productivity and increase your profit margins. You may have seen tabletop technology being used in airport restaurants where iPads have been installed at every table and bar seat. At Newark Airport, for example, customers can use the installed iPad to view the menu, place their order and pay. In a Cornell University study about tabletop restaurant technology, researchers saw many benefits to implementation. First, this technology could speed up the dining process between 16 and 31 percent, turning over tables more quickly, which would increase restaurant profits. There is also the potential for labor savings which can be used to either reduce costs or provide more personalization to the customer experience. The researchers also cited the potential for increased revenue from add-on items such as beverage refills or appetizers. Not only does having a smartphone app give you a tool to directly communicate with your client base, but it can also be a critical component of your restaurant’s data ecosystem, including getting customer information and learning their preferences. Currently about one third of restaurants have a smartphone app. More than half of restaurant apps feature tools for loyalty programs, ordering, menus, nutrition information, payment options, and directions. While that’s scratching the surface, consider how app development could result in geo-targeted push notifications. So if a customer is in the vicinity of your restaurant and your business is slow, can your app automatically send them an incentive like a discounted appetizer in order to boost your business? Phone communication reigns supreme for restaurant interactions, including taking reservations, fielding questions, communicating with vendors, and more. But today’s high tech phone service means that your telephones don’t need to be a complicated mess of expensive business plans and personal cell phones. Smart business phone platforms like Ooma Office provide a low-cost and high-quality phone service with the tools and features to be more productive. Ooma Office offers a virtual receptionist to direct callers and provide information. 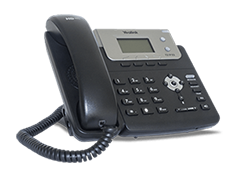 There’s multi-ring to help calls be answered promptly. There are call logs so that you can monitor customer contact points. The National Restaurant Association say that 63 percent of restaurant operators cite cost to be a barrier to technology implementation. 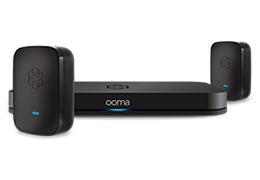 However, with Ooma, business phone service costs just $19.99 per month per user, resulting in an average savings over three years of $6,185. So instead of costing more money to be high-tech, Ooma Office actually saves your business money. Additionally, Ooma Office’s free calling app (iOS, Android) lets all users have remote access to their work phones. So whether you’re a manager on-the-go or a restaurant driver on the road, the app keeps you connected to work without needing to use your personal cell phone number. While only 37 percent of restaurants offer online ordering, four in five restaurant managers agree that the use of technology in a restaurant provides a competitive edge. The LA Times said that “restaurateurs [are] realizing that smartphone apps don’t cause a drop-off in dine-in customers, but instead help grow a new customer base.” When the restaurants they surveyed started using 3rd party apps like DoorDash or GrubHub, they saw revenue gains anywhere from a two to 35 percent increase. Keep in mind though, while it’s possible to use the apps to access new customers and grow revenue, The New Yorker reports how service charges can cut into an already tightly priced food order. This burgeoning technology is changing the landscape of food ordering, and each restaurant will likely have its own solution. Inventory management can have a significant impact on a restaurant’s profitability. For example, a snowstorm or sporting event could leave a restaurant with more ingredients in the fridge than on plates. While predictive ordering technology is still leading-edge, 53 percent of restaurant operators say they would implement it if it were available to them today.